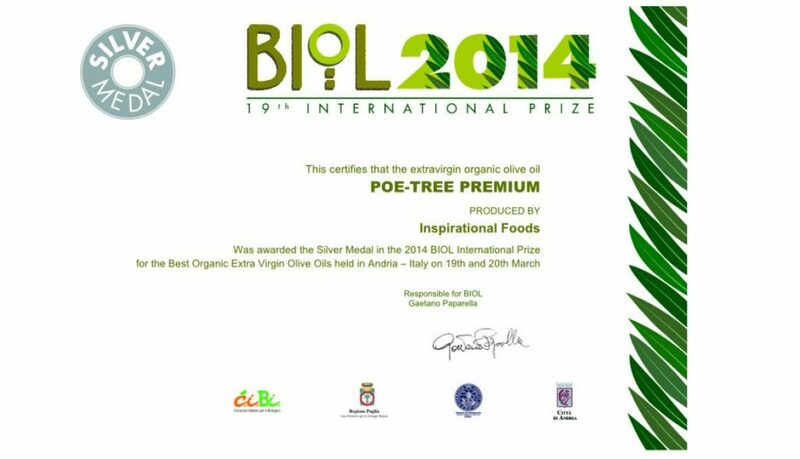 Athens – Greece, April 7, 2014 – Inspirational Foods is proud to announce that its Poe-tree Premium Organic Extra Virgin Olive Oil was awarded the Silver Medal in the 2014 BIOL International Prize for the Best Organic Extra Virgin Olive Oil held in Andria – Italy on the 19th and 20th of March. Poe-tree will also be included in the 2014 BIOL guide which promotes and describes the best organic extra virgin olive oils in the world produced in 2013 – 2014. The BIOL Prize, which is sponsored by the International Federation of Organic Agriculture Movements (IFOAM) and the Italian Ministry of Agricultural Policies, is considered as the global reference point for the best organic extra virgin olive oils. 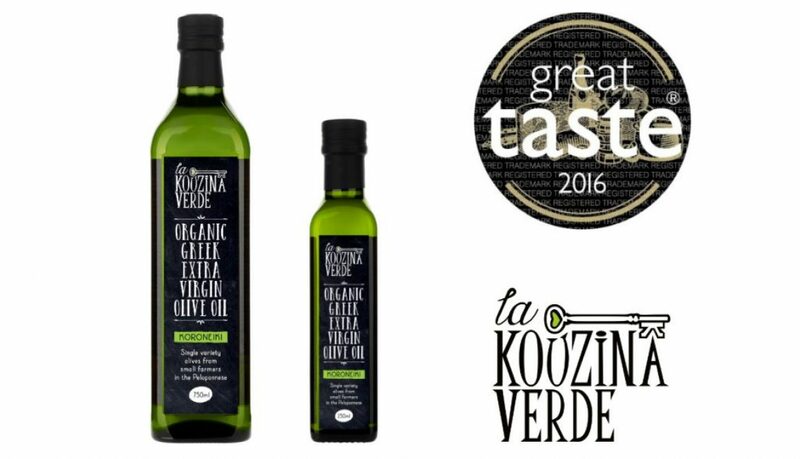 This year, more than 425 organic olive oils from 17 countries were submitted to be judged by an international panel of 26 judges. The oils undergo rigorous chemical tests by qualified laboratories and only the highest quality olive oils are tested by the judges for their organoleptic characteristics to produce a complete reliable and updated overview of the organic olive oil worldwide sector. Poe-tree Premium Organic Extra Virgin Olive Oil is produced from the family owned trees, planted on the family fields in the early 1900s, in Messinia, Greece. The olive oil is certified organic since 2003, and the olive trees are cultivated without the use of any fertilisers and pesticides for a more natural and healthier olive oil. Poe-tree is a single-varietal olive oil from the Koroneiki olives which produce olive oil with very high level of polyphenols, natural fruity taste, and dark green colour. The olives are handpicked in November and grown using sustainable cultivation practices and strict organic standards. The olive oil is unfiltered to maintain all its valuable nutrients and produced using cold extraction process at temperature lower than 27o C, in a 2-stage olive oil mill. Inspirational Foods, based in Athens Greece was founded in 2012 by Sakis Michalarakos a former investment professional and organic olive oil producer. The company is committed to sustainable development and to socially responsible practices. Its aim is to improve the health of people and the environment by producing and selling the highest quality natural and organic Greek products to customers across the globe.